Our intentions for this leisurely cycling trip changed last month when Zaks cousin Max passed away on the 9th of August after a battle with depression. This horrible illness sadly robbed Max of his life, but his family and friends know he is now at peace. Max's physicality betrayed his sensitive side, his love for musicals, animals and cheesy ballads. He was a true gentleman. A very popular guy who won the hearts of many and will leave a lifelong legacy. He was also a fiercely competitive and successful rugby player, donning his number 9 shirt for Monmouth RFC and Canterbury University RFC at every opportunity. He will be sorely missed. 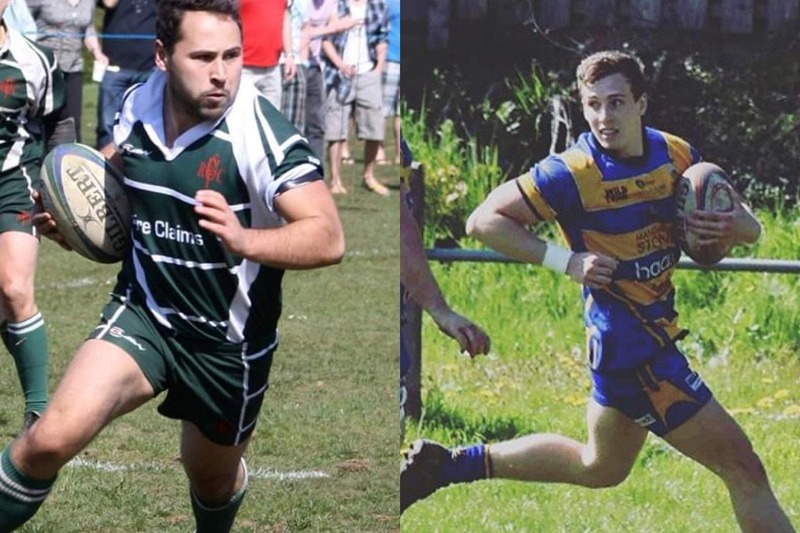 Max's very sad and sudden death was particularly poignant for us as it came nearly 2 years after Rhys's close friend Tom - himself a talented scrum half - passed away very suddenly at 25 years of age. Tom was an incredible person, with an infectious laugh, cheeky smile and wicked sense of humour. He was also a gentleman, who left an indelible mark on all he met. His family and many friends at Swansea Uplands RFC and beyond who enjoyed his company on and off the field, have ensured that Tom's memory lives on. As a result we have decided to use our trip in Switzerland to challenge ourselves a little and raise money for 2 very important causes. 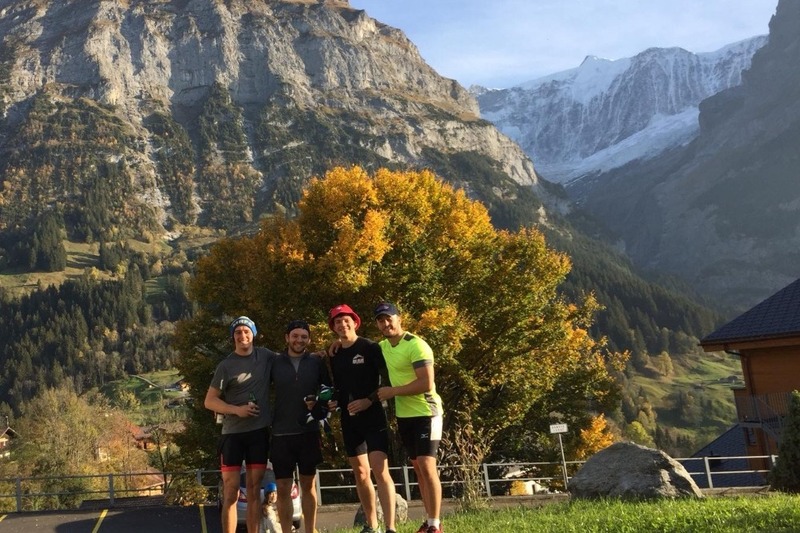 We were supposed to be enjoying a short but leisurely cycling break in Switzerland but rather, on October 13th we will undertake 3 daunting cycling challenges in the Swiss Alps over 3 days. We will be cycling (and climbing) around 200km in total, including 2 climbs of the infamous Grosse Scheidegg mountain pass in just one day! This will be incredibly tough for 1 good but 3 painfully average cyclists and all donations will really push us on when we're struggling up those mountains! The purpose of this Go Fund Me page is to raise funds to assist charities of the Davies family's choosing associated with the prevention and research of depression, suicide and mental health within young men, and for Maggie's Cancer Charity in Swansea. Maggie's offers professional support to people with cancer and their loved ones. As a local charity, Maggie's relies solely on the generosity of supporters, and all donations stay here in Swansea. It goes without saying that all of the money raised will be going straight to Maggie's Cancer Charity and Mental Health Research. Any donations, no matter how small, are very gratefully appreciated, and will be sure to make a difference. Thank you so much to everyone who has donated! Honestly it really kept us going because there were a few times today when we were seriously struggling...the final climb into Grindelwald was grim. 140km today from 730am which took our 3 day total to 300km ridden and 5,000m climbed. Finally it's time for a beer! !